Fasta formatted file containing the sequence alignment used for all analyses. This table contains the proportion of different food items in the diet of each Terapontidae species included. The source of this information is contained in the supplementary material published with the paper. The ecological opportunities associated with transitions across the marine-freshwater interface are regarded as an important catalyst of diversification in a range of aquatic taxa. Here, we examined the role of these major habitat transitions and trophic diversification in a radiation of Australasian fishes using a new molecular phylogeny incorporating 37 Terapontidae species. A combined mitochondrial and nuclear gene analysis yielded a well supported tree with most nodes resolved. Ancestral terapontids appear to have been euryhaline in habitat affiliation, with a single transition to freshwater environments producing all Australasian freshwater species. 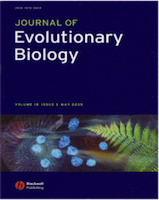 Mapping of terapontid feeding modes onto the molecular phylogeny predicted carnivorous dietary habits were displayed by ancestral terapontids, which subsequently diversified into a range of additional carnivorous, omnivorous, herbivorous and detritivorous dietary modes upon transition to freshwater habitats. Comparative analyses suggested that following the freshwater invasion, the single freshwater clade has exhibited an increased rate of diversification at almost three times the background rate evident across the rest of the family. The marine-freshwater transition within Terapontidae appears to have resulted in substantial dietary radiation in freshwater environments, as well as increased lineage diversification rates relative to euryhaline-marine habitats.